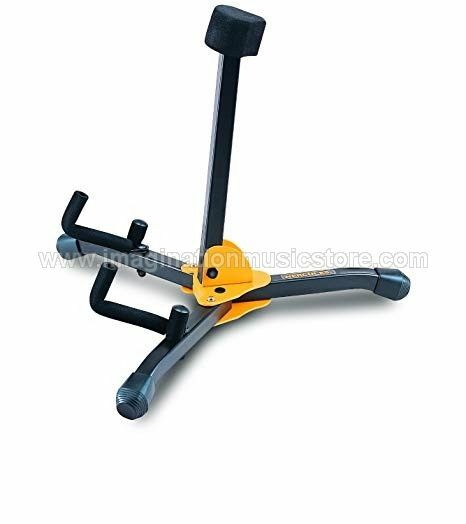 The Hercules Mini Guitar Stand for Electric or Bass Guitar is designed to fold up quickly and pack into the included carrying bag. It has an all-in-one design and is easy to pack and carry. The locking pins on the base function easily and lock securely.